If we agree that the Four C’s, and in this special case creativity, are essential, then we need to help both students and educators define it. Or maybe it’s refine. If you poll most students or educators, they will more than likely define creativity in terms of artistic endeavors such as music, drawing, painting, singing, acting - in other words performing and visual arts. And of course those are creative endeavors. But the challenge is that we have been taught, perhaps as a coincident of this perception, that creativity is an innate skill that cannot be developed and practiced. In other words, we are either creative or we’re not. This is our first hurdle. We need to help others see creativity as a vital aspect of every professional and personal endeavor worth examining. Think culinary, entrepreneurism, design, engineering, architecture, product development, advertising, marketing and so on. But really, creativity is part of everything - every idea that becomes a reality. Creativity exists in how we work, whom we partner with, what we choose to produce, where we choose to work, what tools we choose to use and more. Teach Like A Pirate creator Dave Burgess says he often gets feedback that his immersive teaching and learning experiences are great, but they are “for those that are creative.” He quickly shares with us that this is the wrong assumption. Creativity occurs when we focus our energy, time and resources on being creative. It’s not innate or an accident. It’s a process that we all have capacity for, but all have to invest in as well. One of the edu myths is that students, for that matter all human beings, need routine in order to feel comfortable, lower anxiety, be able to predict and ultimately produce and perform. Well, this might be true. And we certainly, both in schools, and in our personal lives, seem to cling to routine. But routine is not the same as protocols or norms. Routine seems to also lead to complacency and automation. So, we can keep our rubrics, forms and systems. But if we want to encourage creativity, we might need to break routine. This could be similar to the famous question “Who Moved My Cheese?” Well, as educators, leaders and lifelong learners, let’s move that cheese. Let’s disrupt the routine. Let’s throw that monkey wrench into our school and classroom complacency (routines). This is based on the idea that if you want innovation, entrepreneurship, leadership, growth - i.e. creative endeavors - depends on how we push the boundaries, reshape the environment and rewrite the rules. As a principal of a small, project-based high school, I tried to continually move the cheese for both students and teachers. For example, we used to reverse the schedule on occasion. Instead of 1st period starting the day, it would end the day. The last period of the day was now first. This simple switch would produce all types of reactions. Some loved it, some hated it - but all were disrupted. It forced teachers to evaluate why that last class of the day had a different culture. Students said things like “I loved having math first thing in the day for once” or “It was hard having math at the end of the day.” These realizations were for the students and the teachers. For me, it was about adding just enough chaos to hopefully get people thinking, reflecting, ideating - you know, creating. Nothing stifles creativity more often than fear. Too many of us, including many students and educators, are just operating from a place of fear. We are afraid of failure, exposure, ridicule, meeting expectations, being judged, the unknown, operating outside our systems and norms….and so much more. Students and educators need to understand that these fears are normal, but that they are limiting. They can only understand this if the right environments are provided for them. They have to trust those they work with and alongside. From the top on down, educators need to model that they are not afraid of the aforementioned. Sadly in education, we have created a system, from top down, that is all about maintaining the status quo and not rocking the proverbial boat. However, this runs counterintuitive to creativity. If we want authentic and consistent creativity, from students and educators, we need to remove barriers that are foundational in our systems. 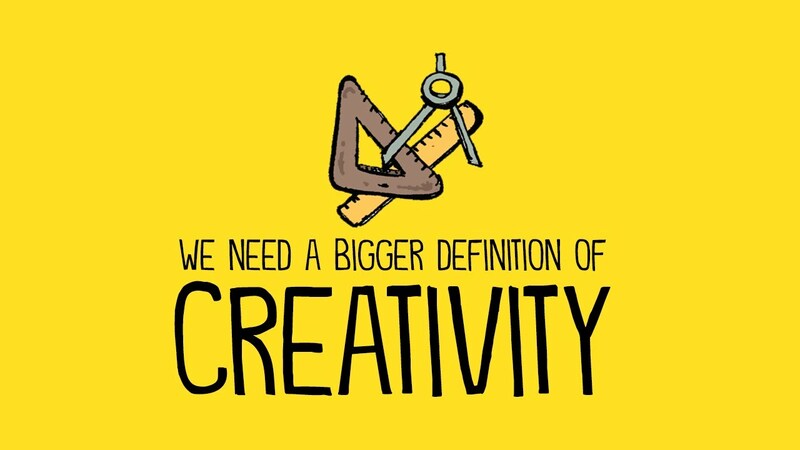 Many rules, policies, expectations, assessments, data collections, curriculum, instructional practices, grades and traditions not only discourage creativity, but explicitly inhibit it. * Smart Start (Smart Start Your School Year). * Breakaway from packaged and corporate curriculum and move more towards project- based learning and other inquiry-based practices. * Recognize and reward creativity across all disciplines and endeavors. * Teachers and Administrators should share stories about their own and students’ creative endeavors (blogging, social media, web content, videos). * Host, coordinate and facilitate school wide challenges, contests, competitions related to projects and other endeavors that require creativity. * Allow students to solve school and real world problems. create short or long-term experiences related to their passions, interests and sense of creativity (Lame Duck School Days). * Throw wrenches into schedules, routines, expectations and past practices. * Foster and encourage projects of passion, student voice and choice - (20time.org) and (20time in Education).